CCTV (or Closed-Circuit Television) is an invaluable tool for plumbers to be able to observe the inside of your pipes and drains without needing to excavate them, saving you time and money. CCTV inspections can be carried out on a wide range of pipework and drains, including sewer, stormwater and trade waste drains, and are most commonly used to review the sub-surface structure of pipes, find the cause of blockages or unpleasant odours, and check for tree roots in the system. They’re the fastest and safest way to diagnose any problems you might be experiencing in your home or business. 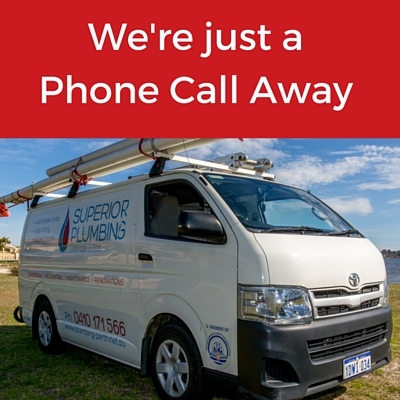 Superior Plumbing has used CCTV inspections to help thousands of property owners across Perth, and using the latest in technology we can help you with all your drainage needs. Gone are the days of plumbers needing to dig out drain and pipes to find what they’re looking for, because we can monitor the camera in real time, and then we can quickly review the footage and take immediate action. Our professionally trained plumbers can employ a specially designed CCTV camera combined with reporting software to provide an accurate recording of the interior of your drains and pipes. 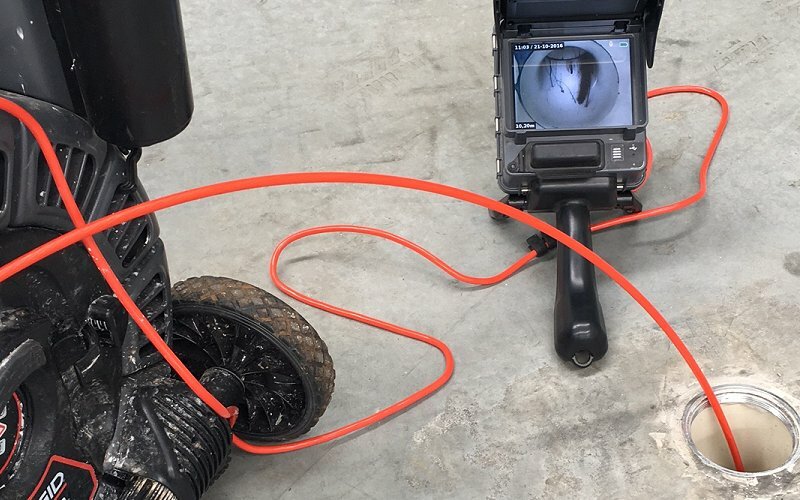 We use the camera in a number of situations including determining the extent of a leak in a pipe, checking for suspected damage, locating junctions and bends, and identifying the source of a blockage. We issue a report once we’ve finished the inspection, with photos taken of the problem areas. 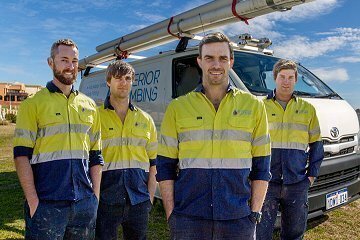 We follow all Australian Specification Standards when using CCTV and ensure we keep all necessary disruptions to a minimum while we work. Blockages and damage to drains can generally be cleared or repaired quickly once discovered, however the longer you leave it the worse the issues can become over time, and the more expensive they can be to get fixed. Don’t wait – call us in today! Clogs and blockages: For drain and pipe blockages that cannot be resolved through plunging methods or if it’s suspected that a foreign object may be in the system. You might be surprised to discover the range of items that we find in waste and storm water systems – everything from toys and building materials to beer cans and underwear. They can become a serious hazard in a drainage system as other material such as hair or grease can become caught on them over time, causing a major blockage. In these cases we use a drain snake with a camera mounted to it to first locate the item and then remove it. 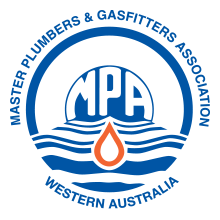 To find suspected leaks, misalignment or other damage: Pipes and drains can develop weaknesses or become damaged by external forces such as nearby building works or heavy vehicles. Over time the land can also shift, causing a misalignment in the pipework which can create leaks. Older clay pipes can be particularly affected as they tend to be more brittle than newer PVC pipes. Tree roots: many species of trees in Perth have roots that can cause significant damage to pipes and drainage systems. Generally they will seek out any weaknesses looking for water in the pipes, usually in any cracks in the joints. Because clay pipes are shorter and generally have more joints than PVC piping, they can be completely invaded by tree roots in just a few years. Slow draining of water, gurgling or foul odours: in these cases we use a CCTV inspection to solve problems that occur regularly but have no known or obvious cause. Once we have examined the footage from the CCTV inspection, our highly trained plumbers will then be able to take appropriate action. If the issue is as simple as a blockage, we will be able to clear it on the spot. However if the problem is more complex, such as a series of misaligned pipes, collapsed pipework or other major damage, we’ll need to investigate further and discuss all the cost-effective options that suit you. We don’t have to excavate the area to locate the source of the problem – excavations can be time-consuming as well as create mess that will need to be cleaned up afterwards. With our CCTV cameras, we can be in and out of any underground or hard to access asset in no time. Having your plumbing issues diagnosed via CCTV camera will cost you a lot less than needing us to excavate the ground and then find the source of the problem. We can get a much more accurate picture of the problem from inside the pipe, rather than an external perspective. Especially when looking for leaks and other damage, we can look at the sub-surface structure properly, and take footage that we can examine afterwards in more detail to determine the extent of the issue. Once we’ve completed our inspection we issue you with a report, which documents our findings and includes photos from the camera footage of any areas of concern. We can offer you competitive pricing on our CCTV inspection services, and can provide you with a no obligation quote before starting any work. Our CCTV inspections are among the best in the industry, thanks to our highly qualified and knowledgeable professionals. We’re dedicated to providing the highest standards of workmanship, no matter how big or small the job. We work with home and business owners to locate and fix any issues on the spot, and we offer a 100% guarantee on our work, so if you’re not happy with any aspect of our services for you, we’ll give you your money back with no questions asked. Don’t settle for second best. Get the CCTV camera experts working for you – contact us today.